The retro star had found fame late in his life at the age of 62.He was nicknamed "the screaming eagle of soul" and released his first album No Time For Dreaming in 2011. He was currently on tour and was forced to cancel the last 2 weeks due to his condition rapidly deteriorating. 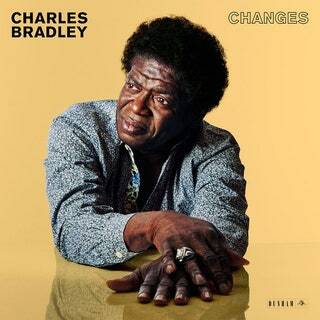 Charles Bradley's rise to fame has been remarkable.For most of his life,he had been working odd jobs as a handyman and living on the streets,while also sleeping rough in subway cars in New York. In a spooky twist,he came to public prominence when he opened for Sharon Jones,another soul singer who found fame late.She also died last year at the age of 60.I'm sure they will be making sweet music together up there. I live you with one thing Bradley said, "It took 62 years for somebody to find me, but I thank God. Some people never get found." It really is better to have been loved and lose,than not find love at all.Rest in peace soul man.